For those of you who are fan for Anime, this one is a special treat for you. 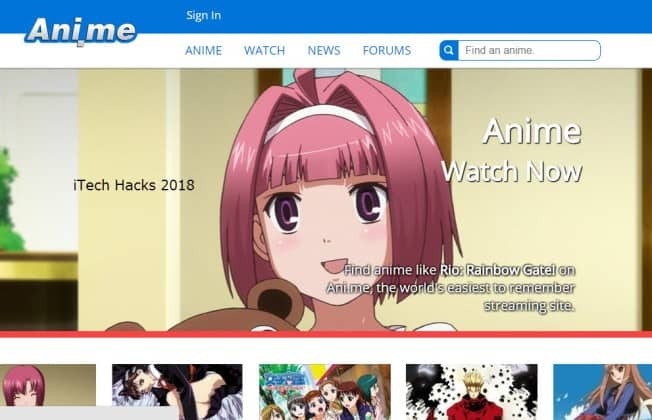 We bring you a list of some of the Best Anime Streaming Sites for 2018. Just go for it. An enormous number of sites in the list are free anime sites. Anime is not just a cartoon. Anime was initially claimed as an exclusive animation with a unique Japanese style. It is also called as an art form by many animators. Currently, Anime includes any and every type of story, graphics in a high-speed style not only limited to Japanese but global Animation and Visual Arts Industry. Coming back to our topic for the day, Best Anime Streaming Sites for 2018, we have to look at many aspects. With internet accessibility and speed increasing day by day, gone are those days when fans use to watch in television broadcast, download or rent a DVD copy. Almost everyone prefers watching it online to reduce the latter hassle. This one is one of the best when you want to stream or download (in-case you want to watch while you are on a not internet zone). 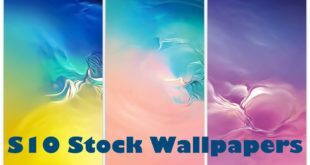 With a Black and purple-bluish colour combination theme, this site has tons of content to offer you! Having feature of quick filter for choosing your Anime is one of the fastest and best-found features. Choose your favourite one or explore a new and trending one that is popular among the viewers. Since this website is free, sometimes ads take up the time to load which would be an irritation. A website, known to all Anime lovers. Apart from a Neon Green and the Black theme this site has more to offer. 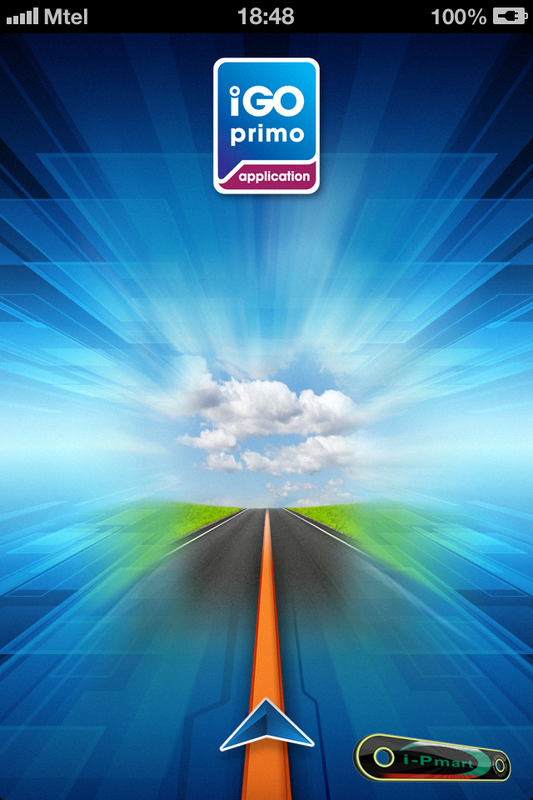 Fast Streaming, good quality and excellent loading time are few of the critical features. There was an issue with the website few months ago due to a problem with their media servers. It is said that due to this issue the site suffered heavily and was down for more than a week. IT lost quite a number of regular views for those days and ever since It has not reached that peak which used to be there before the server issue. Kissanime is one of the best anime streaming sites on the world wide web. Active Chatbox and a community for interacting with other viewers and fans. Ability to configure Video Quality – A feature that is not available in many websites. Since the issue with Media Server a couple of months back, the site has not been able to recover completely, and the user experience sometimes suffers. Browsing features are not as clear as others. The one with Greyish Black and Blue theme it is one of the least buggy and a clean website without any issues. Mostly all videos available on the site are in HD quality, so you need not worry about the viewing quality. Simple navigation offers direct access to video without loading different page or website. Most videos in HD quality. A limited number of advertisement, so loading of website and video streaming is fast. Plain simple, media players contain popups, so it becomes annoying. How can we forget our favourite and one of the most popular streaming site, Netflix! 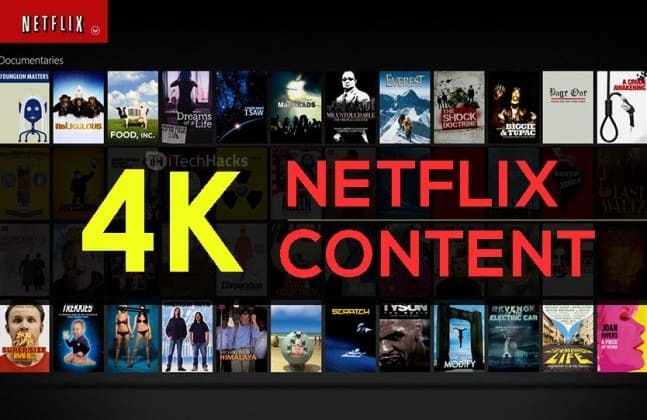 According to statistics, Netflix has a staggering subscription of a whopping 130 million subscribers globally, generating annual revenue of 11.69 Billion USD, Making it one of the most promising paid media streaming content provider. Unmatched Steaming Speed with least internet speed. Variety of Videos, In case you get bored of Anime for some time you can choose from Movies to TV shows to Exclusive Netflix series. You can view it in multiple devices with the same account simultaneously. Since they do not have a single datacenter (all of their videos and content is on the cloud), there is almost no downtime. Has 4K quality videos wherever available. It is a Paid website! Not free, you can get 1 – 3 months of subscription free but rest, you need to pay. Sometimes lags since the usage is massive. Cannot download content on your PC/laptop. Only it gets downloaded on Netflix App Mobile and Tab devices that you cannot share with anyone else. A secure website with more a blog type of theme, this site requires you to register to watch any content. Browsing is also simple but not in a grid or a shortlisting format. 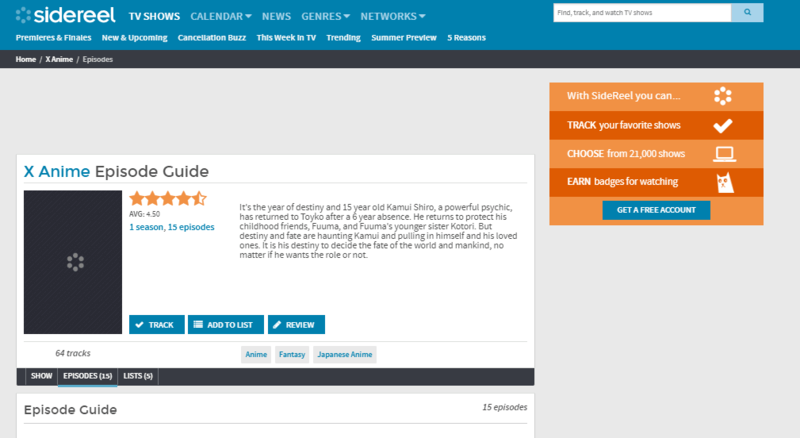 You might have to manually go through the complete website to choose your episode. You need to register but still a free site. Simple interface. Limited advertisement and sometimes no advertisement, so loading and streaming is faster. Has communities and forums for user and fan interactions. Limited content, the database is not as vast or exhaustive as others. Rudimentary website with no new feature. Another dynamic streaming site, with directly content on its homepage. This means it is a dedicated website that instantly gives access to viewers for free. It is a black themed website with facebook comments integration that allows users to share their comments, discuss on other parameters and also provide feedback regarding any videos to the site. Content right on your page. No advertisement – smooth loading and flow. Dubbing / dubbed content, so your content is more engaging. Video manager has some popups that are annoying sometimes. The look and feel of a Fanboy website, chia-anime offer you tons of content. Dubbed, original, with proper indexing makes this website in our list. Streaming speed is good, and the database collection of the content in this site is huge. You will never get tired of watching the same episode. Content is subbed (provided with subtitles or dubbed) almost every 12 hrs. This is a primary reason for content to be fresh and engaging. Largest Database – never ending. Cell Phone/ Mobile or Tab compatible. Advertisements are annoying even on the home page. Video Manager that streams also have those annoying popups that sometimes irritate while viewing intense or climax scene. This one is pretty dynamic on its own. It has over 20000+ videos of a different kind of Anime that you might not have seen or heard of it. There are a different season and series available that are free with excellent quality. Well, it’s free, so that is thumbs up for them. New Content over 20,000+videos so you won’t ever get bored of it. Available in multiple languages – along with Facebook Integration so you can share with your friends and fellow Anime Fan regarding what you are viewing. There are communities and Expo (exhibitions) by this website that you can participate and meet animators, designers and other artists related to the industry! And that too all online. Content is exclusively made for Crunchyroll you would not be able to see it anywhere else. Streaming lags sometimes, and annoying pop-ups are present but does not stop streaming. This is the beast of all Genres of content in-terms of Animes. This website is also considered to be one of the largest anime websites viewed by North American Population. Currently, their service is available only in the USA. However, using alternative IP techniques, one can see its content. It was a popular VOD (Video on demand)for viewing Anime and has increasing demand across the globe. Song Pictures acquired a 95% stake in Funimation in 27th Oct 2017, while its promoter Mr.Gen Fukunaga who is CEO and President retained remaining 5% of it. Sony hopes to take funimation across the globe for Anime lovers with a strategy similar to Netflix. Original and Authentic Anime and Manga Content. Dragon Ball Z was initially released with Funimation – More famous Animes like My Hero Academia are still among favourite are pulling crowed making the promoters gather unique content. This probably cannot be considered as a benefit or Pros’, but yes, we always have an appetite for new content. Since it is only available in North America, to view it you have to use IP changing, or Unlocater like websites. Some of its shows are repeated in their television private channels – So repeat content flashes on your television making you bored of watching same shows on TV. Now this one is something unique. 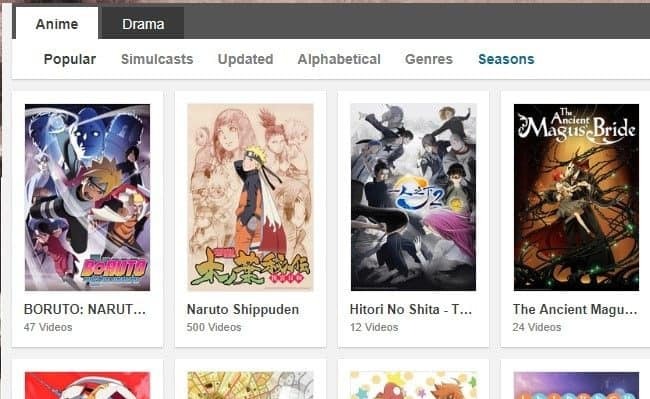 The reason is sidereel also acts as a search engine for finding your favorite Anime or shows and give you exactly what you want. Not only that but it provides you calendar dates (you can save them) for upcoming or new releases. Like I said, this site doe not only Animes but also TV shows. There are over 21000 shows available in their database, and new ones get uploaded every day. New content daily + best search engine for finding your shows. Quality available HD and for some shows it is 4k. This service is subscription based – Hence a fee is involved. They have discontinued IOS and Android upgrades – now visible only on PCs. That’s it, folks, we come to an end of our free and best anime streaming sites in 2018. I hope you enjoyed our review. In-case of any query or suggestion, please feel free to drop your queries in the comments section below.